DUI And Traffic – Skinner Law Firm, P.C. The stakes are high in an Illinois DUI case. A criminal conviction for DUI in Illinois may result in incarceration, large fines, mandatory drug and alcohol counseling, and loss of driving privileges. For these reasons, it is ultra critical that a person charged with DUI have only a qualified DUI defense lawyer handle the case from the earliest possible moment. A DUI arrest in Illinois can be highly embarrassing and can follow you for the rest of your life through revoked driver’s license and criminal background checks. Skinner Law Firm, P.C. specializes in Illinois DUI cases and can help you avoid much of the pain and headache associated with a drunk driving arrest. With over 15 years of criminal courtroom experience both as a prosecutor for the State of Illinois and a defense lawyer, Steven E. Skinner has the knowledge and tenacity to fight for you. 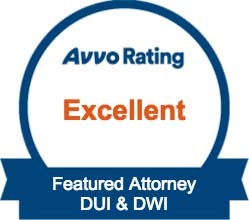 Steven E. Skinner is well versed on all aspects of evidence used in DUI cases and will immediately review your case and advise you on what can be done. Investigating the procedures used to administer breath, blood or urine testing is paramount when defending a DUI charge. Some breathalyzer units are improperly calibrated and can have a history of faulty results. In addition, police officers do not always follow proper procedures while administering sobriety and/ or chemical test. Steven E. Skinner will painstakingly review every detail of the evidence against you and when there are errors in police procedure he will expose it to the court. If you have been arrested for DUI in Illinois, Skinner Law Firm, P.C. can help. We offer free consultations that will help you make informed decisions about every aspect of your case.